For our development we are using Mattermost application. Its a team communication application which can be integrated with other application. Switching from Skype to Mattermost really increased the efficiency of the team. 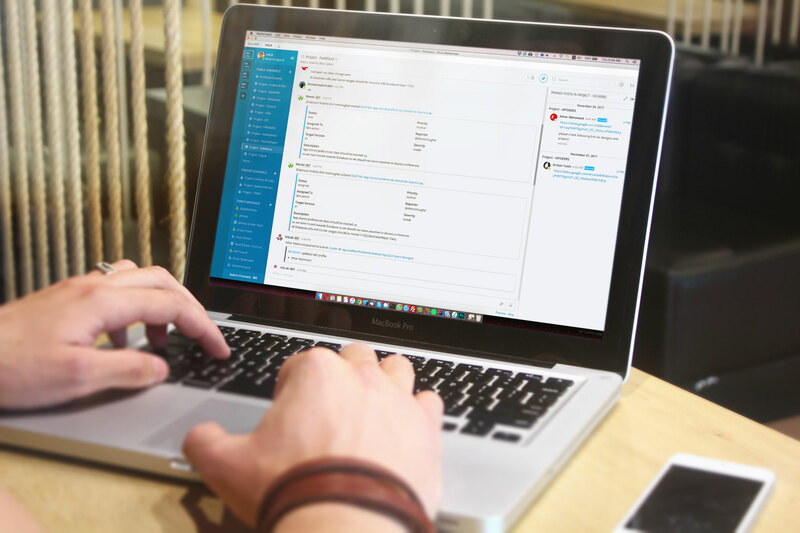 Mattermost unifies our team conversations on a single platform. No string of long emails are now required to accomplish such. The communication is retained so efficiently that a new addition to a team can instantly familiarize himself of past discussions on a project.Mattermosts’ scalability puts the user on the driving seat. Using it for our development operations we are able to channel our workflow the way we desire. Additionally, we have our own Git Lab instance to manage all repositories on our private cloud servers, ensuring the security of all the clients’ projects. Keeping in mind Mattermosts’ scalability we took a step ahead and integrated GitLab with Mattermost. Our inspiration behind this initiative was to further equip our team communication. So now, whenever there is an activity on Git for a project, a notification is broadcasted in Mattermost Project Channel, for all the team members to see and stay alerted of whenever a change is made. Making this a move worth its value in the tech world. 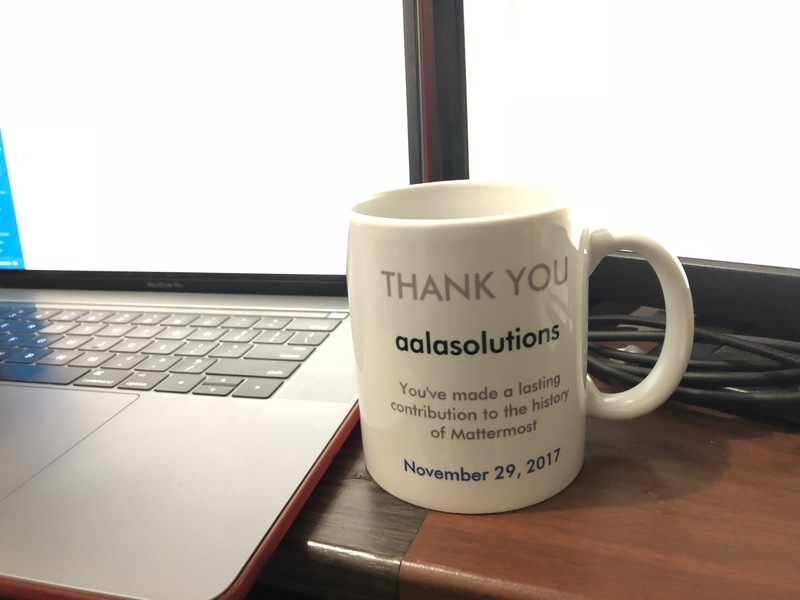 “Thank you AA’LA Solutions, You have made a lasting contribution to the history of mattermost”.